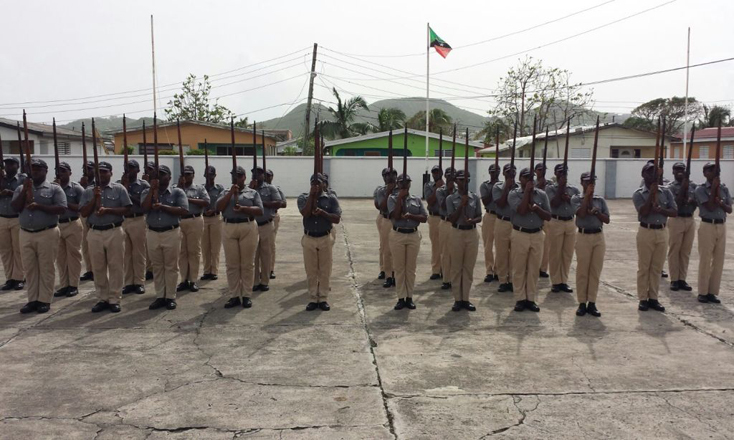 (SKNIS): The Royal St. Christopher and Nevis Police Force (RSCNPF) Course 41 Training Standard for Basic Recruits resumed on September 25 at the Police Training School. The training will continue as normal after being suspended in mid-June to have the recruits gain invaluable experience by supporting the crackdown on crime being implemented by the Police High Command. During that time, the recruits became an integral part of the ongoing crime prevention activity called ‘Operation Mid Sweep’. It provided an opportunity for them to apply training they had already received to the execution of their duties. The recruits assisted members of the RSCNPF with foot patrols and stop and search exercises, among other areas. Their involvement allowed for the RSCNPF to have the additional manpower needed to better execute the Operation.